Apple today at the Steve Jobs Theater introduced the iPhone 8 and iPhone 8 Plus with an all-new aluminum and glass design. 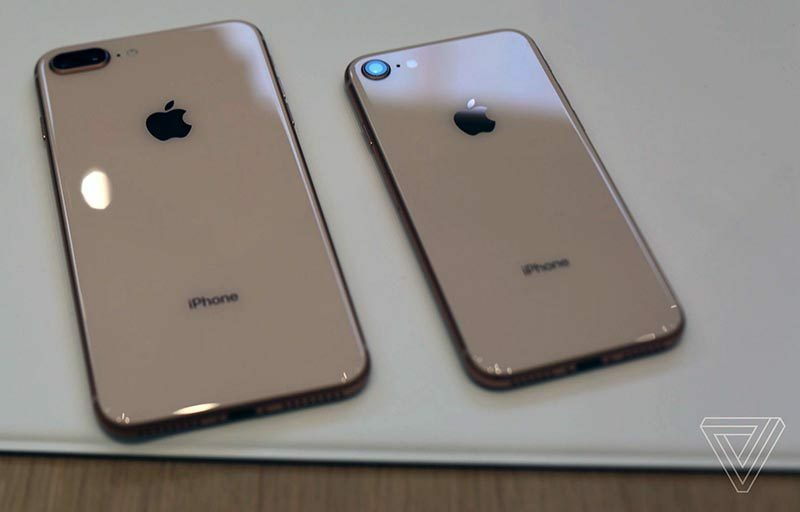 The Verge managed to get some hands-on time with the two new smartphones, which look more or less the same as the iPhone 7 and iPhone 7 Plus, beyond their glossier looking glass-backed finishes. The iPhone 8 and 8 Plus look pretty much the same as their predecessors, but they have a new back cover that’s coated in glass and gives them a somewhat fresher look. The glass blends into the sides of the phone incredibly well, better than we’ve seen on other phones. There’s a subtle density to the glass, too, and overall it looks a lot better than the back of the 7. That glass back allows for wireless charging, which is one of the big new features here. Those who owned an iPhone 4 may be concerned about Apple's return to a glass back, but it said the iPhone 8 and iPhone 8 Plus have "the most durable glass ever in a smartphone, front and back." Engadget's Chris Velazco held the iPhone 8 and felt it had a "bit of extra density" compared to previous models. Fortunately, SlashGear's Chris Burns said the difference is "near-impossibly-perceivable." 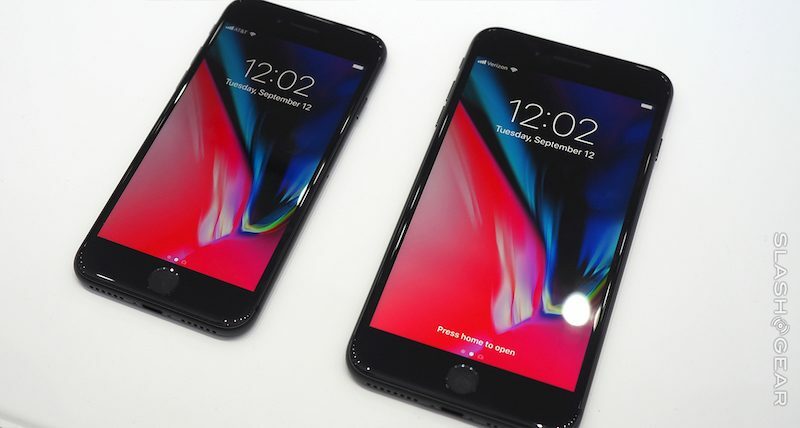 Apple's tech specs confirm the iPhone 8 and iPhone 8 Plus are slightly heavier at 5.22 ounces and 7.13 ounces respectively, compared to 4.87 ounces and 6.63 ounces for the iPhone 7 and iPhone 7 Plus respectively. iPhone 8 and iPhone 8 Plus are also 0.2mm thicker than the iPhone 7 and iPhone 7 Plus respectively, so only the tightest of current cases may not fit. Beyond their slightly thicker, glass designs, the iPhone 8 and iPhone 8 Plus still have Touch ID, Lightning connectors, side Lock buttons, and no headphone jacks. And unlike the iPhone X, both still have bezels on the front. Didn't expect to say this, but I'll probably go for the 8 plus. Bezels don't matter to me, Face ID and the OLED screen are first generation technologies that are bound to be buggy and since the 8 plus has the same CPU and RAM as the X, it'll outperform the X easily because of it's screen. And most apps, apart from the really big ones, are going to take forever to update to the new screen on the X anyway. Incredible how the bezels on these phones instantly look dated next to the iPhone X. That's correct it would seem. Funny I was just thinking about how dated the iPhone X looks compared to my Note 8. I want an iPhone SE update with latest processors and fast charging. Fast charging (not wireless charging) is about the only feature I care about. 5.22 vs 4.87 vs 5.04. I have a feeling this thing is going to be pretty easy to get on launch day. :) Probably a pretty poor launch compared to what Apple is used to as everyone waits for the X.
I sure hope so, as I will be pre-ordering one on Friday. This is exactly why I'm ready for a new iPhone away from the iPhone 6/6S/7 form factor. I think It will be worth the wait, even if that means I won't receive until after November.